Summary: This short walk is just perfect for a long evening or a Sunday morning when visiting Lakeland. I chose the latter option after travelling over from Kendal before booking into accommodation in Keswick. Lil and I needed a walk that was fairly short but paramount was a walk that offered an opportunity for great views. 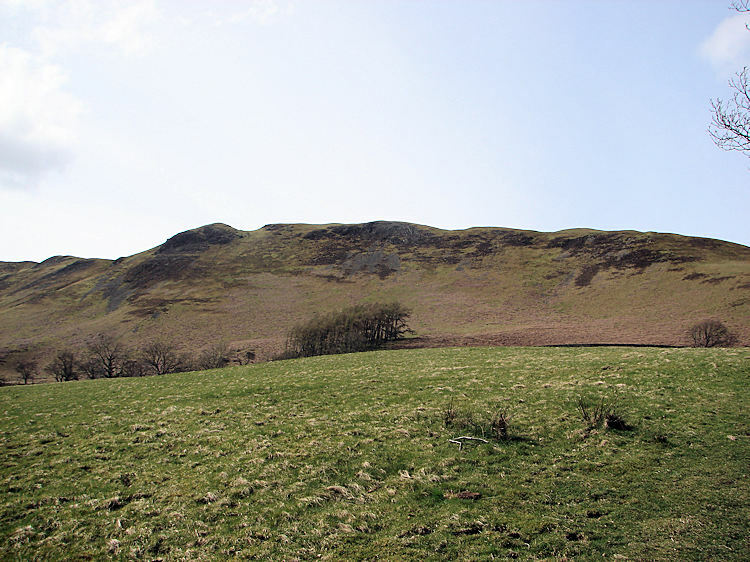 We found just what we were looking for on these two lesser known Wainwright fells. 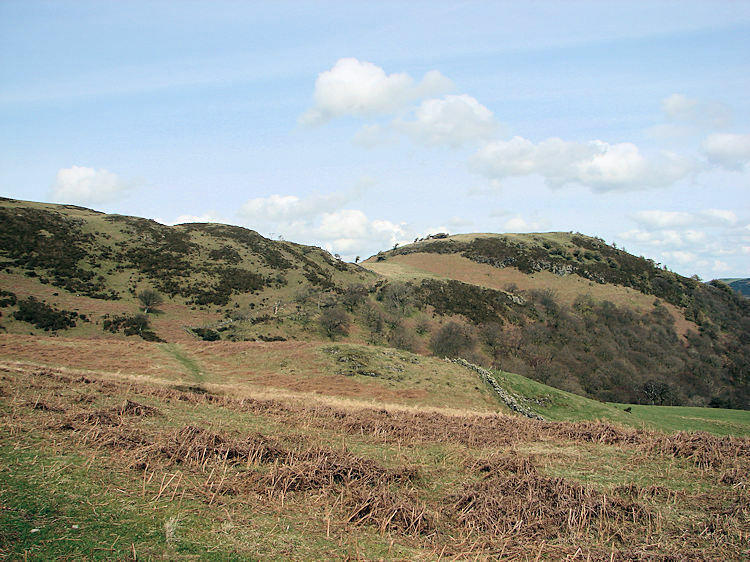 I would never thought about these fells had it not been for the exciting challenge of completing Alfred Wainwrights 214 fells that are brilliantly described in his series of pictorial guides. Lil bought me the complete set of his guides for Christmas 2007 and ever since then I have been self motivated to complete them (this report is written in April 2009). 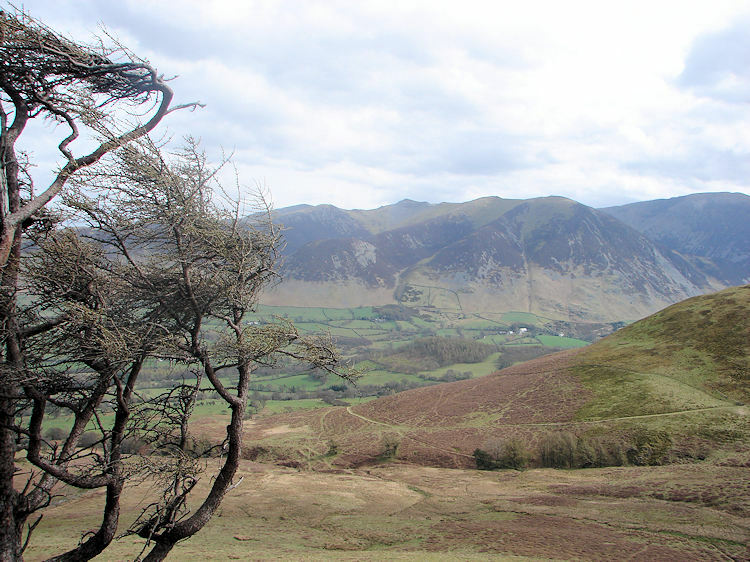 Fellbarrow and Low Fell sit alone, a meek range dwarfed by the Grasmoor and Mellbreak massifs bordering the edge of Crummock Water. 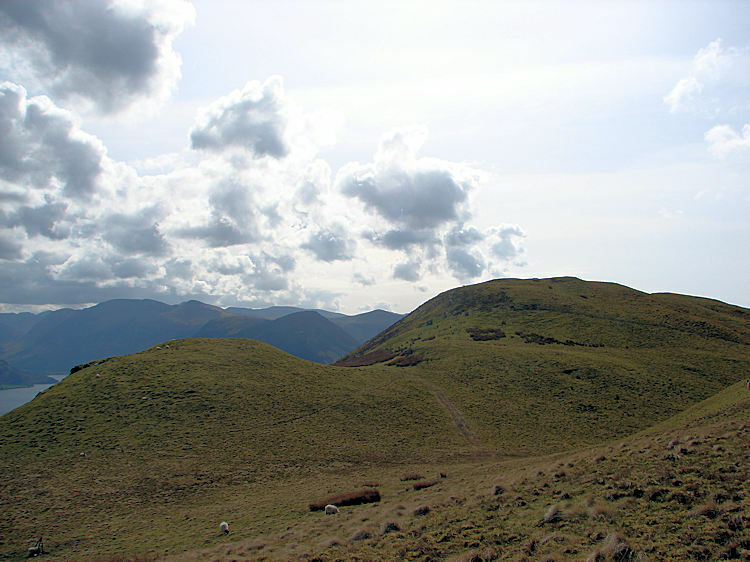 Yet the fell is charming and as Wainwright himself wrote "The traverse of the Fellbarrow range on a clear sunny day is one of the most rewarding of the simpler fell walks, although not often undertaken. 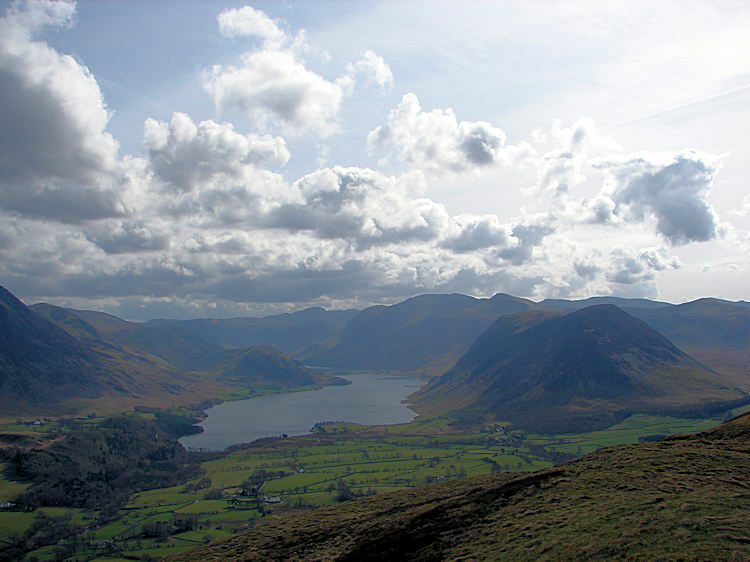 Its particular merit, apart from the easy going, is the beautiful view of the Buttermere - Crummock valley, which is seen to perfection". After reading Wainwrights affection tribute I was salivating. Lil was not particularly looking forward to walking after a weekend of fun in Kendal with friends but I was resolute to do something. By picking one of the easier walks I just might have brought her round. This story will tell the tale of if I succeeded or not. 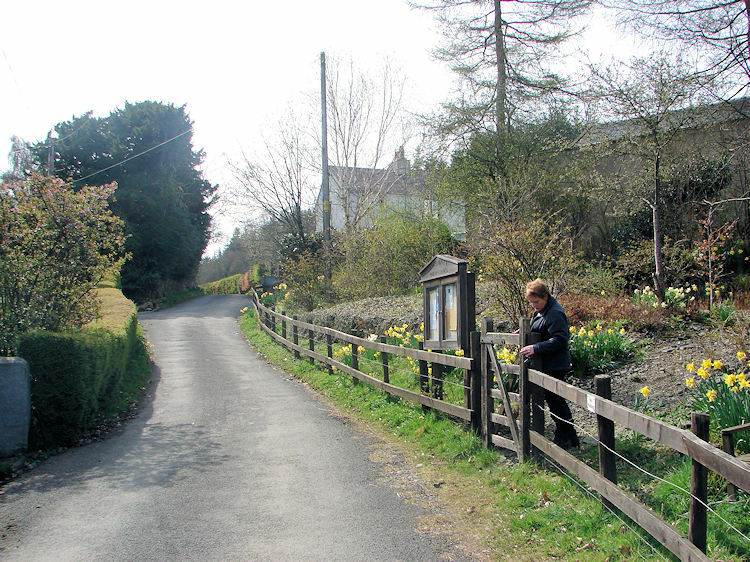 We started out from the tiny village of Thackthwaite after finding a suitable parking area just outside the village. 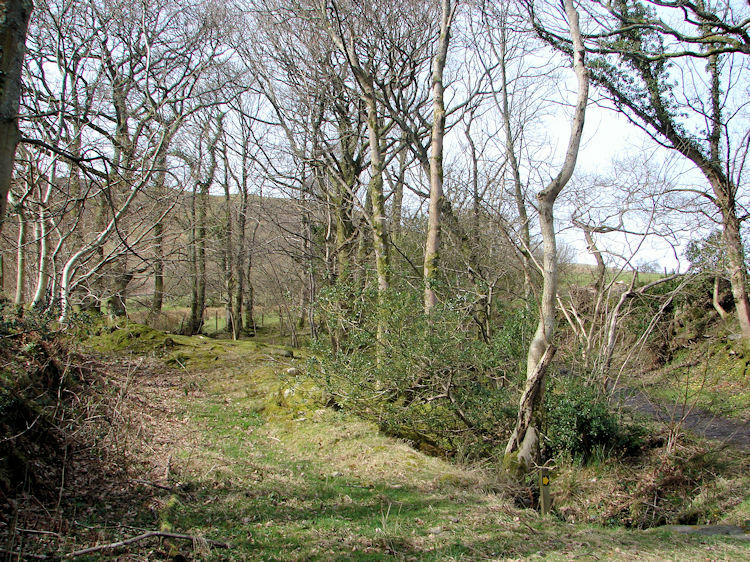 We walked from Thackthwaite due west firstly through a coppice lane and then across open fields which took us up to the fell side. Lil was already feeling it, signs were not good for her stamina this day, her will was certainly weak. Despite this she kept me company as we skirted the fell side which soon afforded us the first view of Fellbarrow, a lush green rounded dome, more like a Howgil Felll than a Lakeland top. We continued on to flank the immediate fell that was topped at Watching Crag. After rounding the Watching Crag hillock from east to west facing we reached a gate near Sourfoot Fell. Here I decided to cut Lil's walk by pointing her to Smithy Fell which was in the west. I said to her "Walk there at leisure and wait for me while I complete Low Fell. I will be about half an hour" She happily agreed for it saved her 100 metres of climb and descent. As she set off to her waiting station I moved on up the zig zag section of climbing to Watching Crag and then I tracked on due south to Low Fell. After Watching Crag the views started to unveil in front of me. 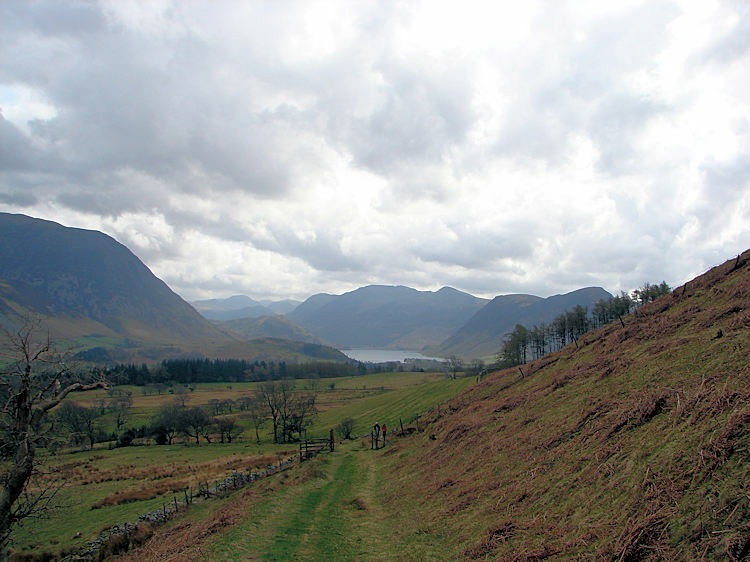 First to come into view was the Grasmoor, Whiteside and Hopegill Head mountains bordering the eastern flank of Crummock Water. These impressive mountains were constantly catching my eye and they were soon joined by Mellbreak on the western side of Crummock Water and the Buttermere Fells beyond including Red Pike and High Stile, familiar friends from my Coast to Coast walk of 1999. As I climbed further to the height of Low Fell, a diminutive 423 metres amidst giants the lack of height was actually just perfect for the sight from Low Fell to the south east of Crummock Water and Buttermere beyond was truly spectacular. Wainwright had got it dead right. After dwelling for a while on Low Fell and taking in the brilliance of the moment I turned back for I had a wife to collect. I scampered back to Watching Crag and soon got her back in my sights. I continued due north making a beeline for her and alongside a fence line until we were reunited. 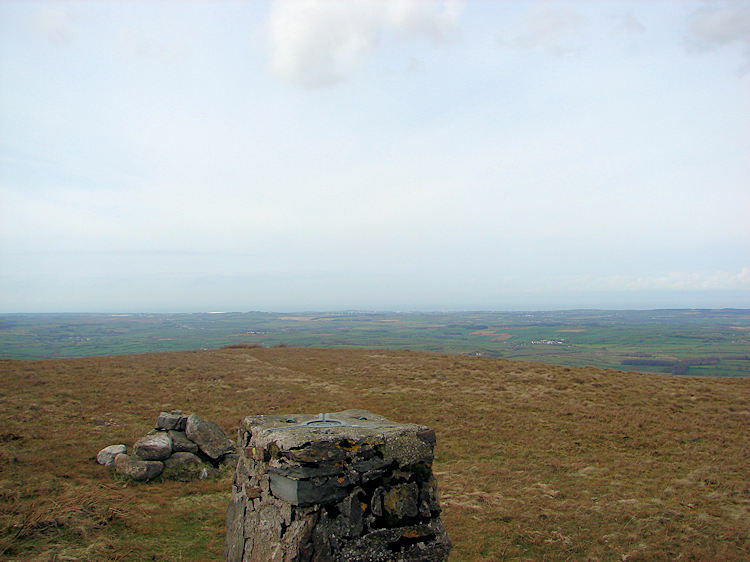 It was clear she was no better for walking this day and so I told her to skirt the flank of Fellbarrow from the south side to east side while I claimed the summit and another Wainwright Fell. After a sharp pull up to the top and into a significant breeze I took in the widespread view of the west coast with countless wind turbines dominating the Lakeland coastline. Then I quickly turned tail to get out of the stiff wind and descended Fellbarrow by tracking east and towards the head of Meregill Beck. 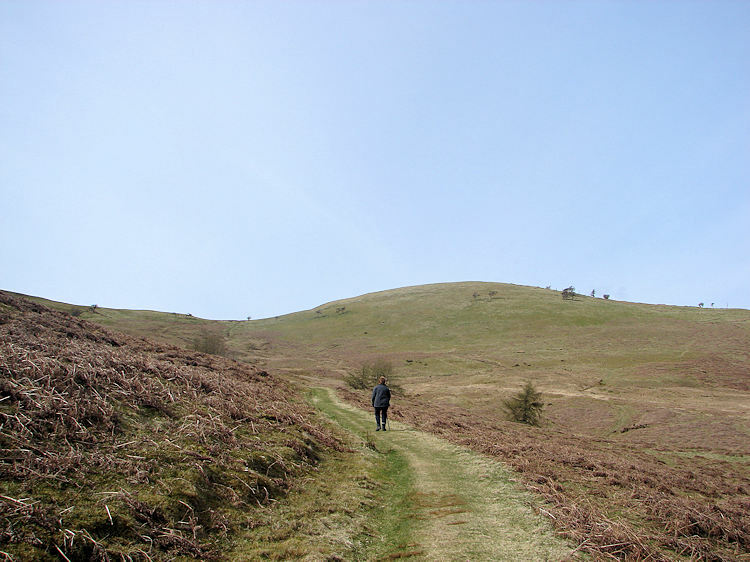 After ambling off the easy grassed Fellbarrow and collecting Lil for the second and final time we walked easily on the track we had taken to access the fell and continued to amble back to Thackthwaite. Despite Lil's lack of energy she had enjoyed sections of the walk, it was disappointing for her to have missed the grand vista from Low Fell though. 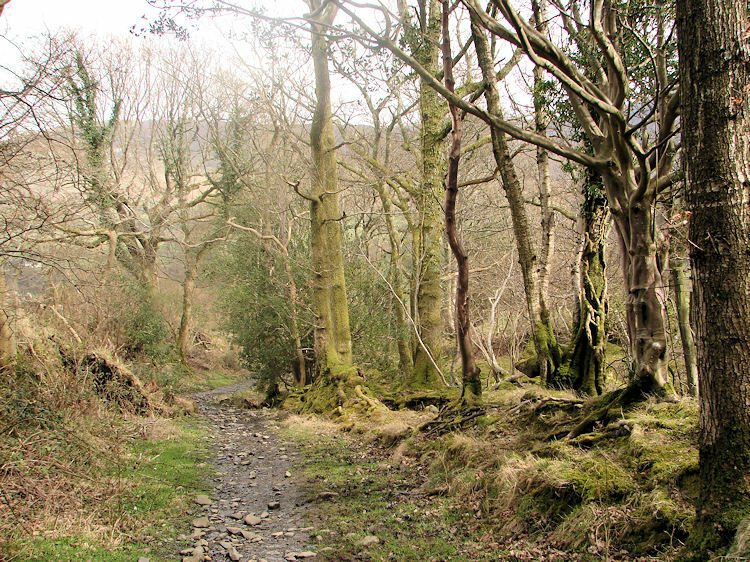 For me the walk had been so thrilling, a new adventure that was not too demanding for I too had revelled all weekend in Kendal with our friends. 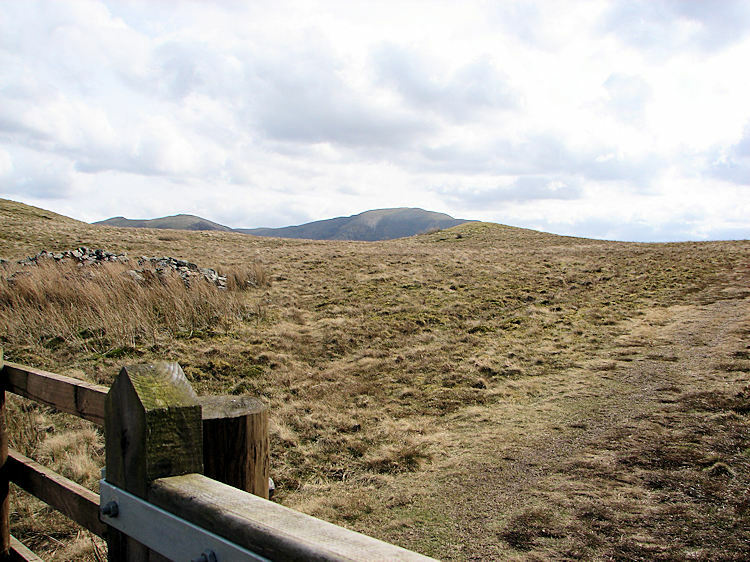 As Wainwright had said it was a lovely walk and Low Fell in particular had inspired him to describe the view from it as "a perfectly composed view of mountain and lake scenery. A connoisseur's piece". Spot on.